Description: Following the Battle of Dead Buffalo Lake, Brig. The Battle of Stony Lake was the last engagement during Henry Hastings Sibley's campaign against the Santee and Teton Sioux in the Dakota Territory. Closely pursuing the Sioux forces under Chief Inkpaduta since the battle of Big Mound, Henry Hastings Sibley was forced to halt and build a camp due to exhaustion among his animals in his army. 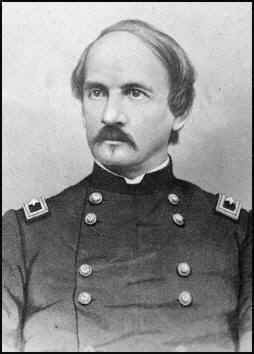 On July 28, Sibley resumed the pursuit but quickly encountered a large Sioux force moving on his position. Sibley ordered his troops to take up defensive positions. The Indians probed the U.S. lines and, finding no weaknesses, rode off in such haste that Sibley could not resume his pursuit.